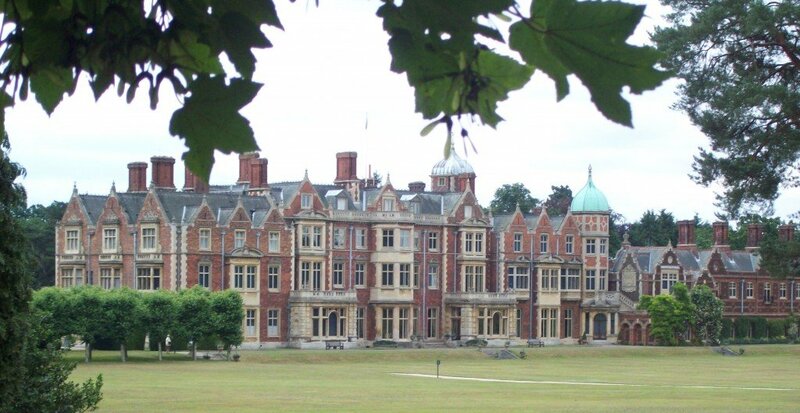 Sandringham House, the home of Her Majesty The Queen. 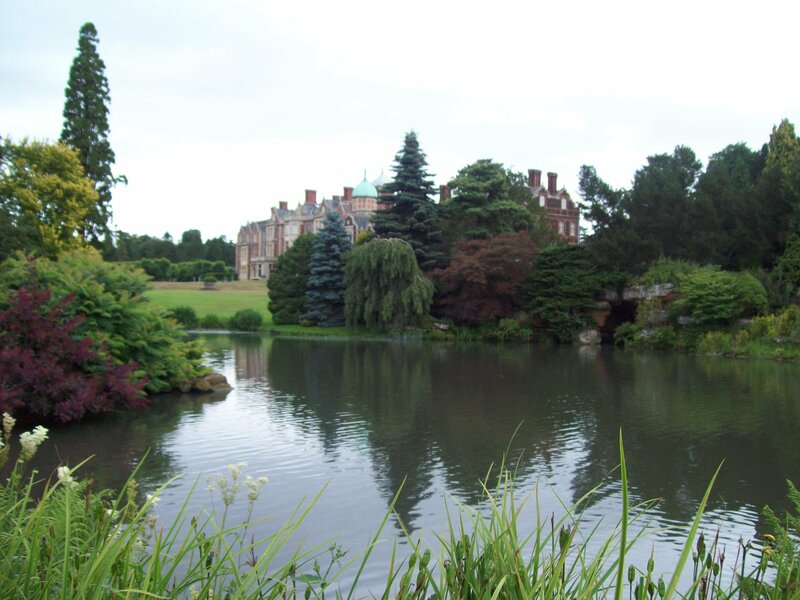 Sandringham, private home of Her Majesty The Queen. The house itself, is only open from April to October, with exceptions, as the family still live in the house when they are in Norfolk. It is always closed for the Sandringham Flower Show in August, but there is the compensation for visitors at that time, of being able to bump into members of the Royal Family while walking around the Flower Show itself. concealed amongst the much enlarged and improved version. 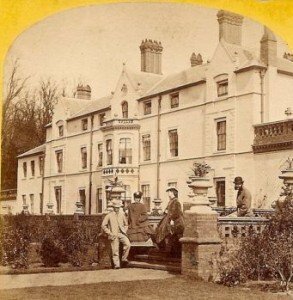 The Prince and his new wife moved in after considerable work had been carried out to improve it, in 1863. The estate needed hundreds of workers and houses were built to accommodate them in the villages on the estate. Some new houses were also built closer to the main house, for the visitors as well as for the senior household and one of those was Park House. King George V and his mother, Queen Alexandra both died there and King George VI, was born in York Cottage and died while at Sandringham on the 6th February 1952. There is a very famous photograph of the coffin of King George VI, laying Sandringham Church, guarded by estate workers, awaiting the journey back to London. The Body of King George VI, Guarded by Estate Workers before it is taken to London. 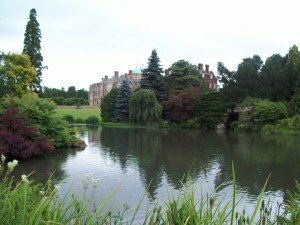 The gardens of Sandringham are magnificent and, walking along the pathways and through the arches, it is a pleasure as well as an honour to be allowed to tread in the footsteps of the many hundreds of thousands of people who have visited Sandringham over the last 150 years. Those visitors have included people from every corner of the globe, members of the Royal Families of Europe, Heads of State, Church Leaders, Celebrities, the Kings and Queens of the United Kingdom since 1862 and, of course millions of people like you and I. Just across the road from the main house, is a walled Kitchen Garden which is not generally open to the public and just up the road, are the Stables, definitely fit for all the Queens Horses. Just across the park, is a little Church, which was a simple Norfolk Parish Church up to the time that became the place of worship for the Royal Family of this country. The building has undergone a lot of renovation and improvement since then, but it is still a Parish Church and is attended by the inhabitants of the area. 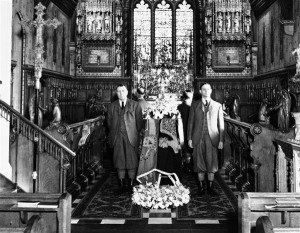 There are several furnishings that are not commonly seen in Churches of this size, the solid silver altar and pulpit along with the memorials to members of the Royal Family tend to give the game away,that this isn’t just another little Norfolk Church! If you would like more information about vacations in England, or even staying on the Sandringham Estate itself, contact me HERE.